Wilbur E. Wolf, Jr., Husband, Father, Grandfather, Patriot, Soldier, Captain, Armor Officer and Aviator, Forester, Farmer, Public Servant, Mentor, and Friend. He was born on 26 August 1937 in York, PA, the son of the late Wilbur E. Wolf, Sr. and Hazel Woodring Wolf. He is survived by his wife of 58 years, Margaret Smyers Wolf, his four children, and his 12 grandchildren. On 4 January 2019, in a pasture on the family farm near where his old deer stand stood, he and an also aging ash tree engaged in battle. And, on that hillside, in the end...joined as one...they both died an honorable death. From their beginnings, as a child and as a young sapling, to their ends, as a distinguished elder and a mature tree, for both of them, theirs was a life well lived. Wilbur was a graduate of Penn State University School of Forestry in 1959. From Penn State University ROTC, he earned his Army Commission as Second Lieutenant Armor, and after Armor Officer Basic (Draper Leadership Award), he attended Army Fixed Wing Flight Training (Honor Graduate). He married Margaret (Peggy) Wolf on 12 March 1960. He was soon deployed with the 3rd Armored Cavalry Regiment to Germany in response to the Soviet threats and the erection of the Berlin Wall. He was later joined in Germany by Peggy and their young daughter, Kathryn Virginia Wolf. Flying his beloved L-19 Birddog, driving tanks, and on occasion displaying his renowned “mellow and compliant disposition” he served in Germany and in the Army until early 1964. Their son, Wilbur E. Wolf III, was born to them in Neubrucke, Germany in 1963. It is rumored that he was playing golf at that time! After “out the door in 64,” Wilbur Jr, Peggy, Kathy, and Wilbur III returned to the US, and Wilbur began work for two years as a Forester for the Commonwealth of Virginia Division of Forestry. While living in Abingdon, VA, their daughter, Rebecca Ann Wolf, was born. In 1965, they returned to central Pennsylvania where he began his 28 year career with The Glatfelter Pulp Wood Company, serving first as Area and Senior Area Forester and later as District Manager. In 1967, they bought and moved to “Richland Farm” where they would live, work, and raise their family until the day of his death. In 1968, their fourth child, Margaret Elizabeth Wolf, was born in Carlisle. 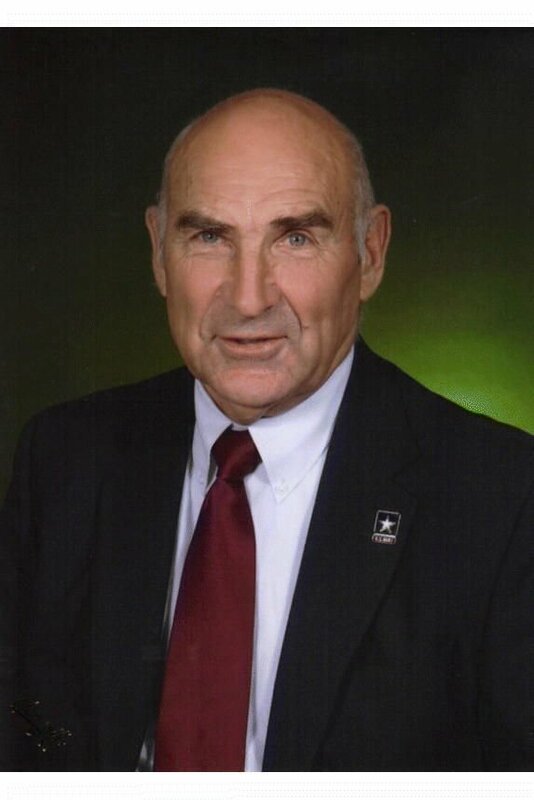 He retired from Glatfelter in 1993, and from then until 2006, he farmed, worked as an SAF Certified consulting forester, and continued his many volunteer and service to community efforts. Key volunteer and service involvement included Society of American Foresters (Elected Fellow in 2001), Pennsylvania Wildlife Federation (Board Member 1988-1999), Penn State Forest Issues Working Group (1993-1995), DCNR Bureau of Forestry Advisory Committees (1995-2002), Cumberland County Conservation District (Director 1976-1977 and 1992-2019 and Chairman 1995-2019), Conodoguinet Creek Watershed Association (1990-2015 and President 1996-2002), Pennsylvania Tree Farm Committee (1967-1993 and Chairman 1974-1976 and 1986-1987), Capital Area Intermediate Unit Board of Directors (1997-2019), Cumberland Perry Area Vocational Technical School Joint Operating Committee (1983-1989 and 1999-2019), and Future of Cumberland County Agriculture (2002-2008 and President 2004-2005). He was Trustee at Dickinson Presbyterian Church, and he served as President of the PTO at Centerville Elementary School. Finally, he most proudly served on the Big Spring School Board as Member 1981-1989 and 1997-2019 and as President of the Board 1983-1989 and then again 1999-2019. In addition to his wife Peggy, he is survived by his children and families including eldest daughter, Kathryn (Virginia) Wolf Sekeres and husband, Mark of Brookville, PA and their three children, Carrie Sekeres-Perrott and husband, Trevor of Daytona Beach, FL, Heather, and Jacob. Their son, Wilbur E. Wolf III (Brigadier General Retired) and wife Amy (Craig) Tuckwiller Wolf of Mechanicsburg, PA and their two children, Wilbur Craig Wolf (Sergeant) and wife, Kira Oshaben Wolf of Newville, PA, and Rachel Margaret Wolf of Denver, CO. Their second daughter, Rebecca (Ann) Wolf Escott and husband, David of Bethlehem, PA and their three children, Paula, Elizabeth, and Dawson. And finally, their youngest daughter (Margaret) Elizabeth Wolf Richwine and husband, Tim of Carlisle, PA and Richland Farm and their four children, Kayla Kathryn Armistead and husband, Matt of Pleasant Gap, PA, Tessa Rebecca Hein and husband, Blake of Carlisle, PA, and Kyle, and Trevor. Wilbur can be affectionately described as passionate, and just a bit competitive, in everything that he did. There was nothing worth doing that was not worth doing right! He was not one to waste time or to mince words...he knew what he wanted to accomplish...and you had better been ready if you wanted to be along for the ride! Yet, at the same time, he could quietly and softly take great time and care to teach, coach, and mentor those he found worthy. He was a long-time member of Big Spring Masonic Lodge #361 Free and Accepted Masons. He was an exceptional golfer throughout his life. He “shot his age” more than a few times in his 70’s and 80’s! He proudly but humbly put many younger golfers in their places, and his regular golf crew remained some of his closest and most cherished friends. He gave selflessly of his time and energy to many organizations and people. He was an avid hunter who taught and mentored the family who would follow him in that passion. He had an unparalleled love and passion for the land, for forestry, and for all that nature had to offer...and, in the end, he died there doing what he loved. In all of his life well-lived, he was most proud of his family...past, present, and future. His legacy is reflected in the love, spirit, accomplishments, and high-character of his posterity.